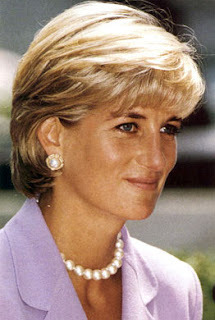 In the case of Lady Di, as soon as we approached the topic we were warned by the Masters of Light that it would not be prudent to detail specific facts that took place on her death (the reasons were obvious) and we refrained from asking about those details. 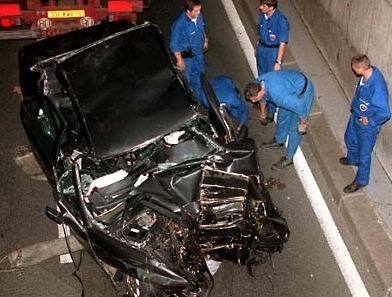 Interlocutor: Was the death of Lady Di an accident or a conspiracy? Interlocutor: Is the intellectual author the main suspect who practically everybody is accusing to? Interlocutor: Then I'm right when I think that he was the one who planned everything? Interlocutor: To conclude the session I’d like to ask you some details about Lady Di because I believe that many things have been said already about this matter that what we say now would be unnoticed. Ruanel: You can ask and I will tell you what can be said. We know that it was an attempt and they were trying to get rid of her by all means. This is nothing new because practically it has been said by everybody who has been talking about the topic. Interlocutor: Yes, I know it because I have read about it on the Web. But what happens is that they outline it as a hypothesis, but the Grupo Elron is taking it as a true fact. Interlocutor: Was she pregnant of her boyfriend, as the father of Dodi Al Fayed said? Interlocutor: Is This one of the reasons of the attempt? Interlocutor: Did The queen Elizabeth II also conspire? Ruanel: The queen Elizabeth has her mental decoder so damaged that she is not under conditions of conspiring or realizing anything. Interlocutor: Concretely, then, She didn't conspire? Ruanel: No, not at all. Interlocutor: Was the intellectual author of the attempt the husband? Ruanel: The husband and his entourage. Interlocutor: I understand. Who were really the executioners, to call them somehow? Ruanel: The attempt was carried out by the British Secret Service MI6? Interlocutor: Was there some laser ray, like some investigators say, aiming to the driver's eyes that blinded him? Ruanel: No, there was nothing like that. Directly they “fixed” the car. Interlocutor: I don’t understand. For example they caused damage to the braking system? Ruanel: They damaged the whole part of the steering wheel. Interlocutor: This means that it wasn’t something damaged in the vehicle at the moment of the attempt? Ruanel: Correct, the car was prepared before of that. Interlocutor: What I don't understand is how they prepared the car and the "accident" was so perfect. Ruanel: It wasn’t perfect the first time, because they tried several times. Interlocutor: Ah! Now I understand. Ruanel: The one that was successful was the third attempt. Interlocutor: Now it’s clear, it is as if someone who is shooting several times with a rifle until he finally hits the target. Ruanel: Sure, because if one doesn't know the times he missed, one can believe that he is a wonderful shooter. Interlocutor: Now, I see it clearly. Ruanel: And if the "accident" had not occurred in that place they would have tried it in another place again and on and on. It was not something calculated so that it works out well at the first attempt. Interlocutor: Well, Master, this topic was completely clarified, and now I’ll keep my promise and I’ll not ask more questions. Ruanel: A hug for all of you and I leave my Light to you. This entry was posted at Tuesday, August 31, 2010 and is filed under assassinations . You can follow any responses to this entry through the .